The sensation of pure freedom sends shivers down your spine. 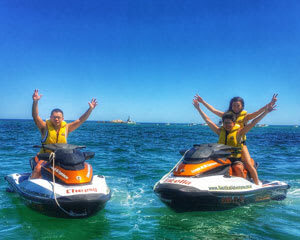 It’s just you, the dancing waves and the feeling of cool water splashing your brow—water adventure lovers just can’t say no to the thrilling jet ski rid! 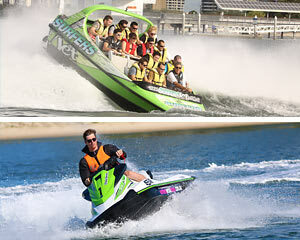 These first-rate jet ski hires send you to the Gold Coast’s SeaWorld Resort as well as stunning coastlines in Perth. We’ve packaged everything from quick jet ski jaunts to 2.5-hour excursions. Ready the sunscreen and start exploring these jet skiing experiences now! 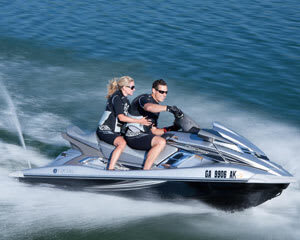 Jet Ski Hillarys, Ocean Blast Tour 30 Minutes - Perth (SINGLE RIDER) No licence required! Without question, SeaWorld Resort is the beating heart of the Gold Coast. Unsurprisingly, jet ski adventures here are in no short supply. Book a solo trip or going jet skiing on a tandem ride with a mate! For a quick burst of adrenaline, opt for a 30-minute Ocean Blast tour. You’ll enjoy a big dose of thrills and still have ample time to laze around on the beach. Or, for a prolonged journey, a sightseeing tour takes you on a 60km trip to South Stradbroke and back. You’ll be equipped with a 1100cc jet skit that reaches speeds of up to 80 kph! 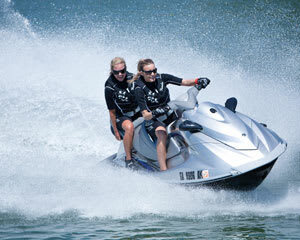 Speed freaks will also love our packaged jet ski tour and jet boat ride. First, you’ll hop aboard a V8 jet boat and hold on tight as the captain blast through the water performing daring 360-degree spins. Next, you’ll hop on a 1500cc jet skit that can clock 100 kph! Tired of the sand and water… how about a little sky? 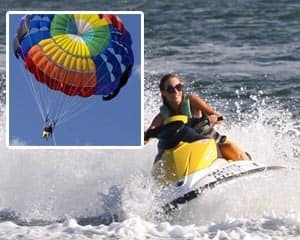 We also offer a jet ski tour that’s paired with a sensational parasailing experience! 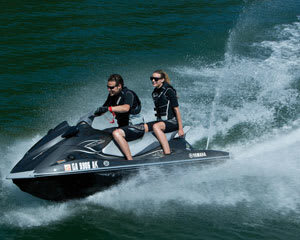 Jet Ski Hire Perth – Dolphin Watching and More! 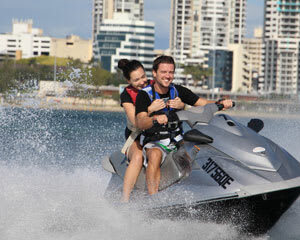 Perth jet ski hires offer equally enticing jet ski adventures but also feature several experiences with a flavour all their own. A jet ski eco tour, for instance, takes you right up close to dolphin pods. Quiet your engine as the amazing mammals swim all around you! You’ll also spot sea lions and a colourful array of seabirds! 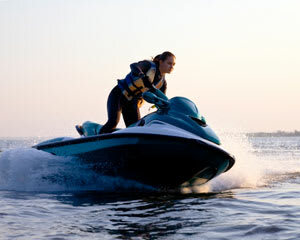 - Drive straight: if your jet ski keeps veering off, it probably has something to do with your posture. Keep your head up, forward and focused far in the distance. - The throttle is your friend: Your instincts might be telling you to slow down when you approach an obstacle. Problem is, without your finger on the throttle, your jet ski can’t steer. Just keep a cool head and keep moving. - Stay Comfortable: After being on the water for a while, first-time jet skiers might feel a little posture fatigue. Try easing your grip, leaning a little forward and bending your elbows. It’s a more natural position that’ll help you relax and enjoy the ride. - Have fun! Don’t let your first-time butterflies detract from the experience. Remember, it’s all about freedom—toss your apprehensions overboard and embrace the speed!